Despite a title drought that has now eclipsed a century and continues to grow, the Chicago Cubs are one of the most popular teams in the MLB. Fans and collectors of the Cubs can be found far from the confines of Wrigley Field and most continue to hold out hope that their fortunes will eventually change like the Red Sox and their longtime curse. Given the widespread fan base of the Cubs, there is a decent chance that a close friend or family member follows the Cubs. 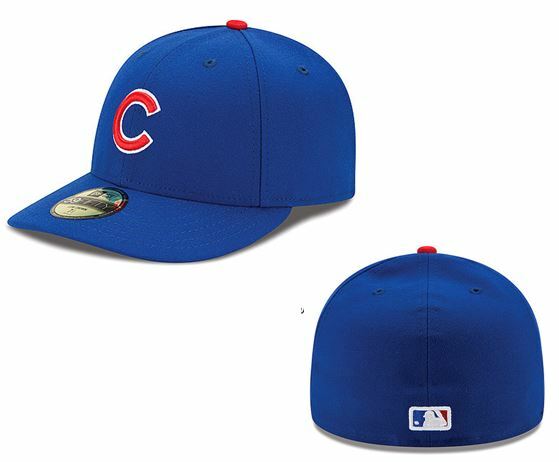 With that in mind, the following guide features a helpful list of suggestions when gift shopping for supporters of the Chicago Cubs. 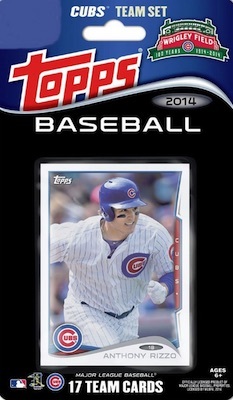 Collectors and fans looking for a more detailed account of the team should check out our comprehensive Chicago Cubs Collecting Guide. 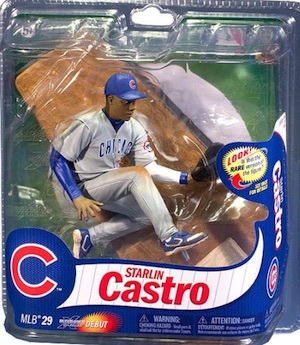 The list below includes 20 different gist ideas for fans and collectors of the Chicago Cubs. Both broad suggestions and specific items are included and a good mix of price points are covered. A Hall of Fame pitcher who spent eight seasons with Cubs, Fergie Jenkins is a popular figure from the team's history. 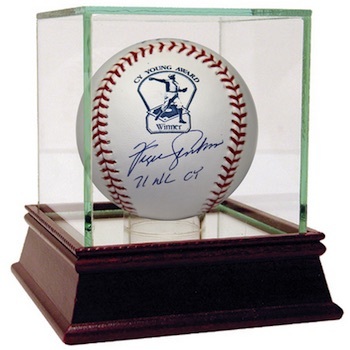 Despite his good success in the league, Jenkins' signed memorabilia, like the autographed baseball below, remain inexpensive and make a good budget gift option. While his association with PEDs has tarnished his reputation, it is hard to overlook what Sammy Sosa did with the Cubs. 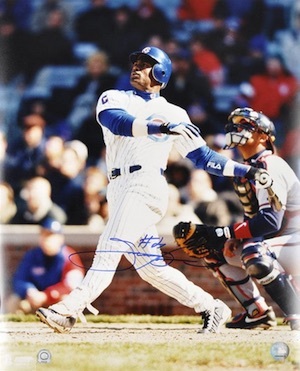 This signed photo is a nice reminder of the 12 seasons he spent in Chicago and the many home runs that Sosa watched as they left Wrigley field. Inducted into the Hall of Fame in 2010, Andre Dawson spent more seasons with the Expos but is remembered fondly by the Cubs franchise based on his six strong seasons in Chicago. A signed bat offers a ideal premium gift that can be prominently displayed in a man cave. 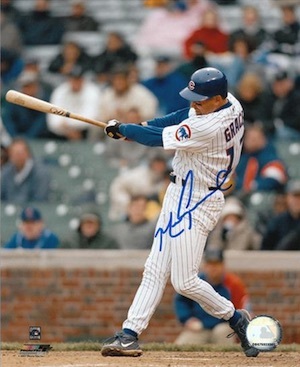 A fan favorite for the Cubs for many years, Mark Grace is remembered most for his consistency. His signed photos can be found very reasonable amounts and present a fun budget option for a fan of the Cubs, especially one who followed the team in the 1990s. Although he debuted with the Philadelphia Phillies and spent his first season there, Ryne Sandberg was a Cub the rest of his playing career and was later inducted into the Hall of Fame. 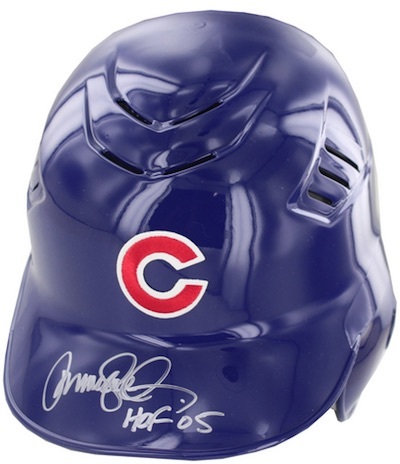 A signed batting helmet offers a unique premium gift option for a fan of the Cubs. Arguably the biggest figure in the history of the Cubs other than Cap Anson, Ernie Banks spent his entire 19-year career with the team. Signed photos and other memorabilia are not cheap but the supply remains strong. 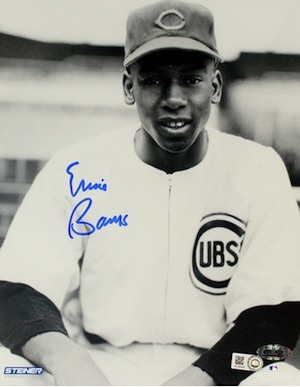 View additional signed options for Ernie Banks here. An interesting executive gift or budget option for a father or grandfather who supports the Cubs, this pen includes visible dirt that was taken directly from Wrigley Field. 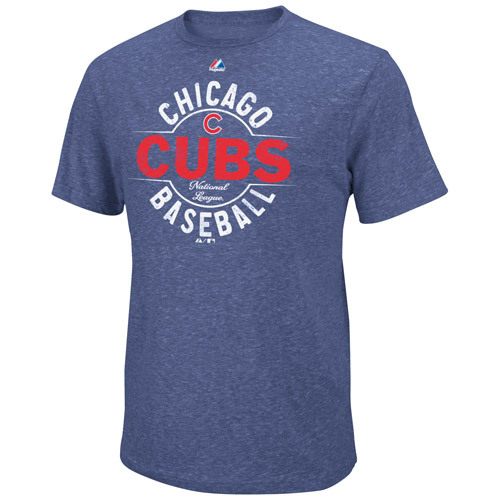 Check out other items featuring Wrigley dirt here. 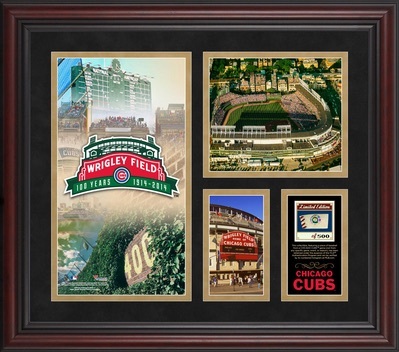 The Chicago Cubs recently celebrated the 100th anniversary of historic Wrigley Field and this limited framed collage honors that moment with several images and a piece of game-used baseball. View other framed collages and plaques for the Cubs here. 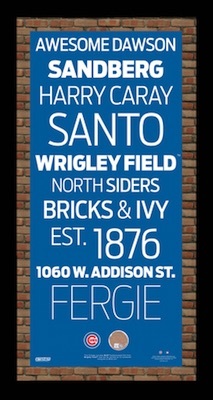 Featuring key figures and moments of the Cubs as stops on a subway, this framed sign has a classy design that would work in almost any setting. 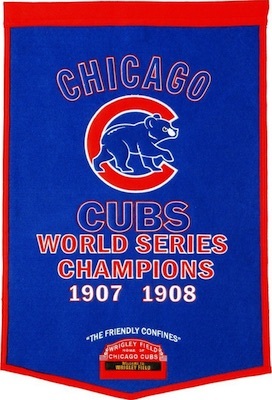 Great for a man cave or game room, this wool banner honors the Cubs and their two World Series titles and is a nice gift option. 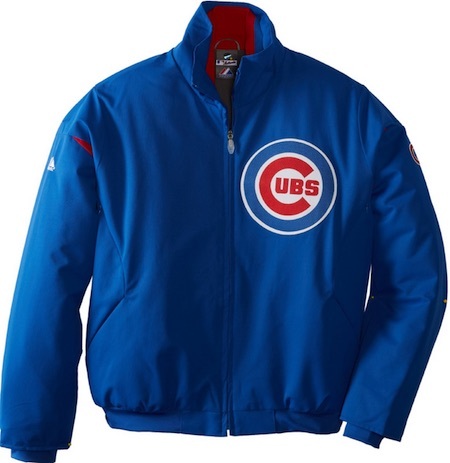 Although baseball is not active during the winter months, this gift budget option allows Cubs fans stay warm while they eagerly wait for spring training. 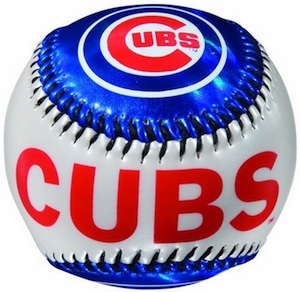 Another fun budget gift, a team baseball can fill several needs and also can be paired with the blanket for a Cubs combo gift. Baseball cards are a popular option for fans, but they are not as simple to buy because they are so specific. 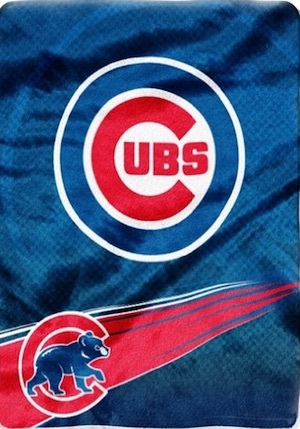 One option we recommend for budget gifts or stocking stuffers is Chicago Cubs team sets. Some are sealed and some are hand-collated, but the result is the same. Make sure to verify the year of the card and the players included to make sure you are getting what you expect. Whether shopping for a child or an adult, Chicago Cubs figures and bobbleheads can be a great gift. Several different brands offer a variety of options and many players can be found from the history of the franchise. Check out specific figures on eBay using the links below. There are a good variety of different Chicago Cubs team fatheads. In addition to team logo versions, players are some of the top Fatheads and three of the most popular Cubs are noted below. 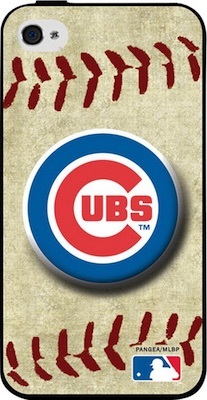 Smartphones are the new norm and can make for an easy and inexpensive gift for a Cubs fan. Just make sure to verify the exact make and model before you buy. We have included direct links to Amazon below for the most popular phone models. 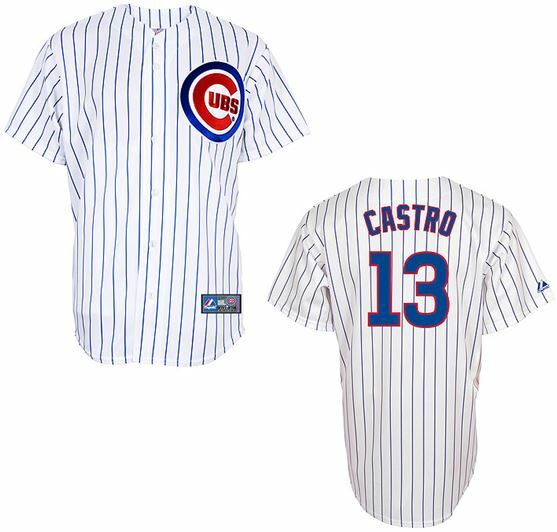 Jerseys remain the most common way for fans to display their love of the Chicago Cubs. Replica versions offer cheaper prices and fans can also have them customized for added appeal. If you are overwhelmed by the many versions, check our detailed MLB jersey guide here.